Asthma is a condition in which the airways (breathing pipes) narrow and swell and produce extra mucus (phlegm). This can make breathing difficult and trigger coughing, wheezing and shortness of breath. Each patient may have one or all of the symptoms. It can sometimes start to interfere with daily activities and may lead to a life-threatening asthma attack. Increasing pollution in the National capital Region in India is causing an exponential rise in the prevalence of Asthma here. Patients here continue to suffer from chronic cough and wheezing for years and are prescribed cough syrups and courses of antibiotics by general practioners before reaching the right diagnosis of Asthma. Although an individual spends nearly one-third of his time in sleeping but one pays very little attention to our sleeping patterns. With increasing obesity & sedentary lifestyle, sleep disorders are becoming more and more common. Amongst the various types of sleep disorders, commonest is the Obstructive Sleep Apnea. In a recent community based survey carried out in Delhi, the prevalence of OSA was estimated to be a whopping 9.3%. OSA is directly linked with obesity as it is 4 times more common in those with BMI > 30. Other common illnesses that usually co-exist are Hypertension, Ischemic heart disease, Congestive heart failure, Stroke, Diabetes. It has also been identified as a common cause of Sudden Cardiac Death. Traditionally, a patient suffering from central obesity, abnormal lipid profile, high blood pressure and insulin resistance has been labeled to be suffering from Metabolic Syndrome. The co-occurrence of Obstructive sleep apnea and metabolic syndrome is now referred to as Syndrome Z, which is becoming increasingly prevalent in Indian Urban population. For some reason, not known clearly, males show a greater likelihood of developing syndrome Z. The simplest theory behind OSA is: obstruction of the airflow in the upper airways during sleep leading to a low oxygen state in the body. This causes various neuronal, hormonal & biochemical changes, as a result there is frequent awakening during night and stress on various organs of the body. So, broadly, low levels of oxygen in the body cause a slow damage at the microcellular level to the various organs of the body while tendency to fall asleep during the day to day activities increases the chances of various types of accidents. 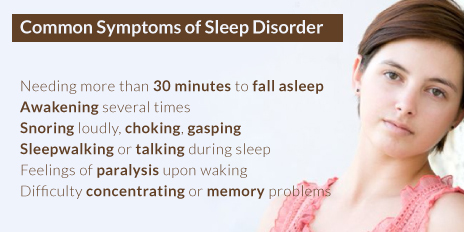 The common symptoms are : very loud Snoring, noisy breathing during sleep, Choking Sensation during sleep, frequently waking up in the night, unrefreshing sleep despite normal or increased time asleep and Excessive Daytime sleepiness. The classical features are : loud snoring with silent pauses, choking sensation and excessive daytime sleepiness in a male patient > 50years old, with a BMI > 35 and neck circumference > 40 cms. Other symptoms of OSA are : Morning Headaches, erectile Dysfunction and Fatigue in women. OSA is worsened by cigarette smoking, alcohol intake and sleep inducing medicines. There is a strong association between OSA and daytime accidents which may be motor vehicle accidents or those at place of work. Patients are known to fall asleep while driving or working on machines jeopardizing their own as well as others’ lives. It also occurs commonly in children especially in 2-8yrs age group. Besides the usual symptoms, children may come complaining of Poor learning, Attention-deficit or hyperactivity Disorder , sweating during sleep and frequent urination at night. Sleep Apnea can be easily diagnosed by conducting an overnight sleep study. With advancement in technology, now, it is also possible to carry out a sleep study in the comforts of patient’s own home. Treatment is easy and simple. It depends upon the severity of disorder. A device called CPAP (Continuous Positive Airway Pressure) remains the gold standard modality of treatment.